- The Food and Beverage Administrative Assistant is a two stripe officer acting as a secretary providing administrative support to the Food and Beverage Manager/ Director, such as checking and answering emails, posting notices, composing routine letters and correspondence, printing out ratings reports and comment cards, scheduling appointments and maintaining filing systems. - The F&B Administrative Assistant works in close cooperation with the Crew Purser’s office to familiarize new crew members with their assigned accommodations, uniform shop, crew laundry, and other facilities onboard the cruise ship. - Records meal counts data and guest count information on a daily basis. - Prepares meal count reports and submits these reports to the appropriate shipboard management. - Facilitates, schedules and coordinates all departmental training activities, seminars and all other work related activities with the employees and the respective trainers. - Maintains and files all departmental related reports, USPH related logs and records i.e., Time & Temperature Control Sheets, USPH Training Attendance and Schedules. High school diploma required, university degree preferred. 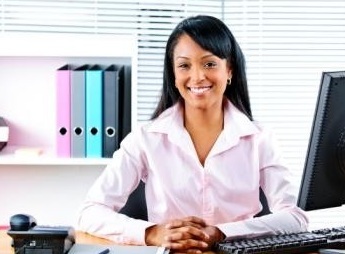 Two to three years of word processing experience in a secretarial capacity preferred. Knowledge of standard office procedures and organization skills as well as ability to operate basic office equipment, including telephone, copy machine, fax, adding machine. Working knowledge of computers with emails Microsoft Word, Excel and related printers and equipment. $1900-2300 U.S. per month depending on depending on the cruise line.